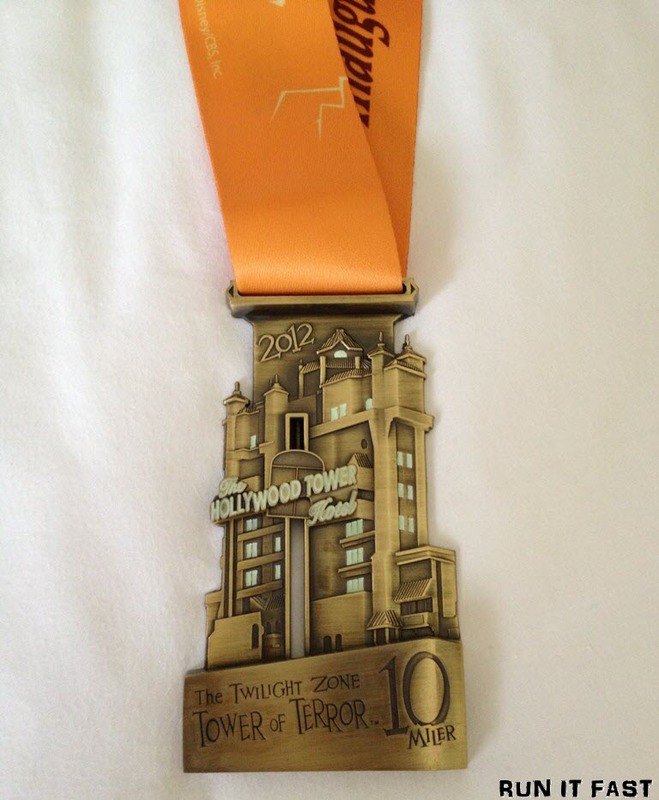 This is the medal for runDisney’s The Twilight Zone Tower of Terror 10 Miler that was held on September 29, 2012 at Disney’s Hollywood Studios in Orlando, Florida. Seriously cool medal. The elevator slides and the windows and sign glow in the dark! I want this medal!